Both items 4to, 4 pp. Each a bifolium. Text clear and complete on aged, foxed and lightly-creased paper. 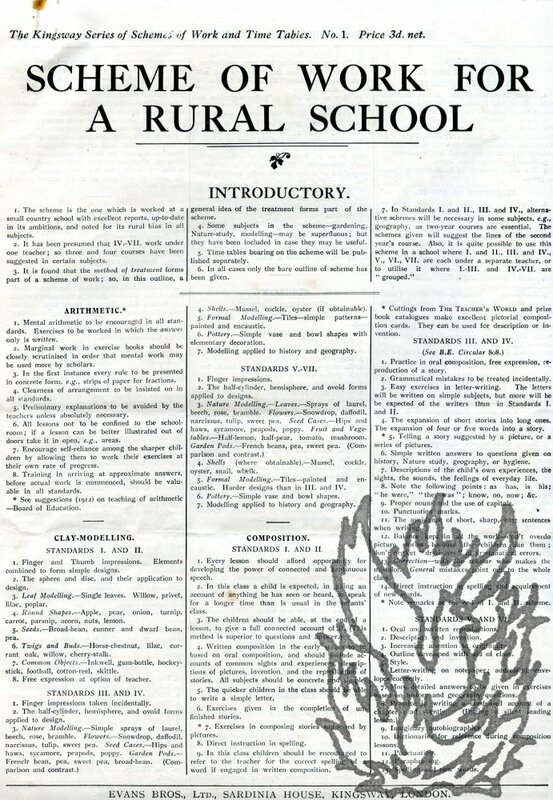 Both items in small print, the first covering topics from Clay-Modelling to Needlework. Of interest is the section on 'Hygiene (Bare Outline)' which warns against ' "Chewing," harm of "bolting" food, over-eating, dangers of alcoholic liquors'. Number Two contains four time-tables divided into two groups: 'I. - Mixed Department' and 'II. 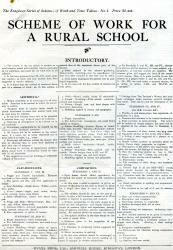 - Infants'; and 'For a Rural School of 40 Scholars. ', 'I. - Upper Division' and 'II. - Lower Division'. Scarce.